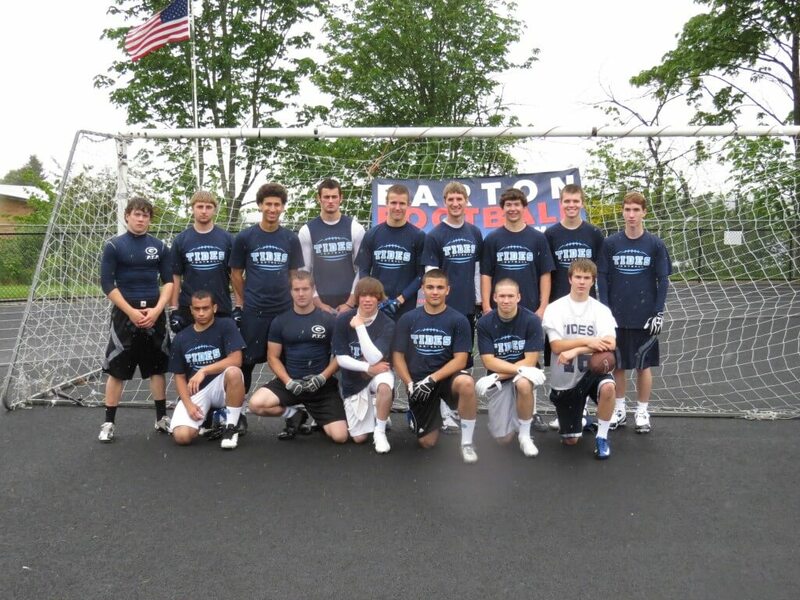 It was easily one of the greatest 7 on 7 teams ever assembled in Pacific NW history, as most of the athletes on the alumni team are headed to big time D1 Universities. (UCLA) bound Myles Jack of Bellevue was the Defensive MVP of the tourney as he was dominant and equally entertaining all day long. He is considered one of the top players to ever come out of the Northwest. Teammate Sean Constantine (Washington) is super talented as well and will be staying at home to play his college football. Former Kings QB Billy Green has added size and is already out at (BYU) competing for the job, while Nic Sblendorio (Eastern Washington) of Skyline could be the steal of the year at the D1-AA level. I foresee Nic being a D1-AA All American and starting as a true freshman. Trent Sewell formerly of Bothell returned after spending his freshman season at (Wyoming). He is a projected starter for the Cowboys after redshirting this last season. Add in elite WR Mike Tate (San Jose St) out of Federal Way, and one of the fastest athletes in the country in Tatum Taylor (Arizona State-Track) from O’Dea, and you have two of the better athletes in the country. Devasyia Hagger (Undecided) out of Beaverton OR, Forrest Russell- Skyview, and a pair of talented kids from Interlake in Kamana Adriano and Ryan Turman (Walk On: Wash State) only help headline what was a big factor in the Alumini team winning the title. Russell is a phenomenal 7 on 7 player and Hagger is a scholarship basketball athlete that has turned his focus to football. 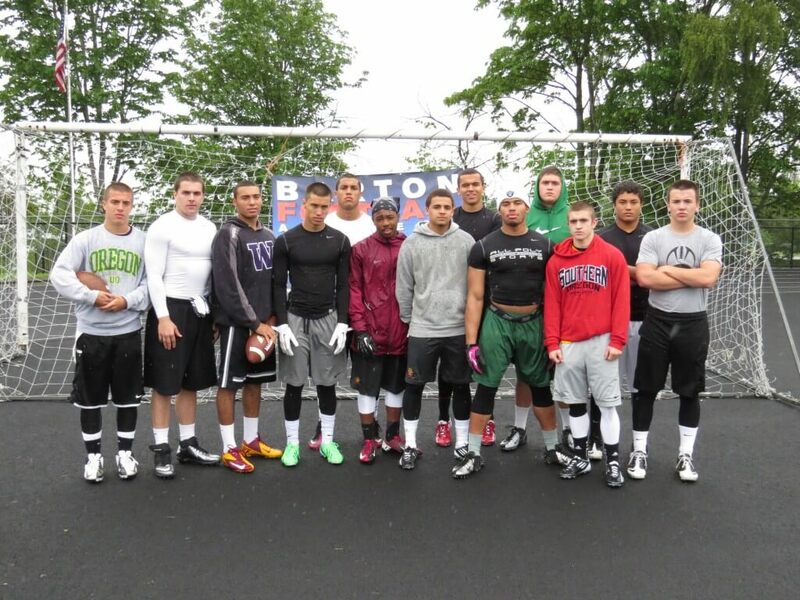 The DB’s were equally sick as D1 kids were everywhere. Reuben Mwhela (Idaho), Dlondo Tucker (Eastern Washington), Mason Stone (Idaho), Kahlil Dawson (Portland State), Jimbo Davis (Nevada) and Tere’ Calloway (Nevada) locked kids up all day and left no doubt that this was one of the better DB classes in NW history. The NW Alumni team held on to beat the Kingco All Stars 9-8 in the semifinals, before beating WA Elite and Budda Baker in the championship 20-14. The best thing about the Alumni team is that they had fun on the day. When someone scored they ALL emphatically chased him down and celebrated together. 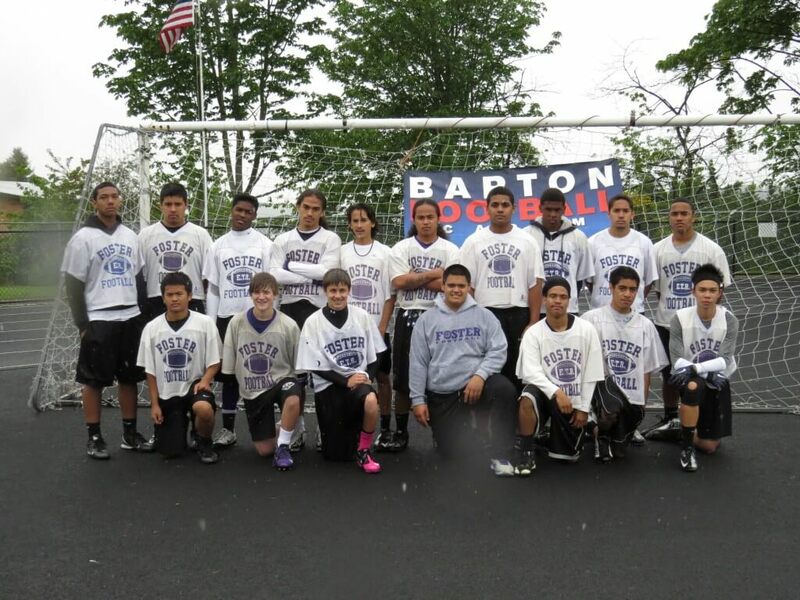 It was a great group and we are excited to see them play on Saturday’s and Sunday’s for years to come. Budda Baker out of Bellevue might be the best HS football player I have ever seen. He has scholarship offers from almost everyone and was a difference maker all day. He took a 70 yard pass to the house, bringing the elite team within a score late in the championship but it was a little too late. Chico Mclatcher out of Federal Way and Keynan Foster of Jackson are two of the top junior’s to be in the region. Both are extremely exciting with McClatcher having offers from (Washington, Arizona State, Utah, Colorado State, an Portland State), while Foster displayed what may have been the “jukes” of the day. Keenan Curran of Fed Way now holds 7 offers and counting and is the hottest DB recruit in the NW other then Baker. Adrian Shocks and Dashay Ware are two of the better players that Beamer HS has ever had, while both quarterback’s looked outstanding on the day in Dillon Sugg (Wenatchee) and Casey Brink (Bainbridge). Sugg is one of the state’s top Jr QB recruits and Brink dropped dimes to his receivers, especially late. One of the top overall athletes in the WESCO Conference Tevin Gray (WR/DB) out of Lake Stevens, had a good tourney and will return after earning all league honors as a sophomore. The Vikings will be one of the top teams in the league and Gray will be a major reason. Cy Sirmon is one of the top LB’s in Washington for the 2015 class and did a remarkable job from his backer spot, while three Lakeside kids got in the mix and did well in 6-6 (2015) TE/WR Eric Rottsolk, RB Cole Stephens (2015), and top senior to be WR Mike Padden. The WA Elite group was as good as any team in the tournament and came up just short. We look forward to seeing the top athletes in WA do their thing over the next year. This group was probably the most over achieving on the day. Drew Sample out of Newport is now 10 offers deep, being offered by Nevada last week. He was in the running for overall tournament MVP and is one of the top players in the Pacific NW. We will see multiple Pac 12 schools come in on him, before all is said and done. Bothell’s Ross Bowers played lights out and showed the fight you need in a leader. Bowers is ranked our Co #1 QB for the 2015 class and single handily kept his team in games at times. Sample’s teammate Conner Baumann is another one of the NW’s fastest rising recruits, being offered by Air Force last week. Jackson Keimig will be one of the top 2015 WRs in the state, after transferring from Redmond to Bothell. The Skyline athletes were impressive as well with Sam Mix having one of the best tournaments of anyone in attendance, and Elijah Nichols showing that he will be one of the top players in Washington for the 2015 class. Senior Grant Evans had a phenomenal day, proving that he was definitely an under the radar kid. Juanita senior Kendrick Murphy was another kid Ross Bowers talked about at the end of the day, with fellow Rebel and WA top ranked Freshman QB Tavin Montgomery playing beyond his years. 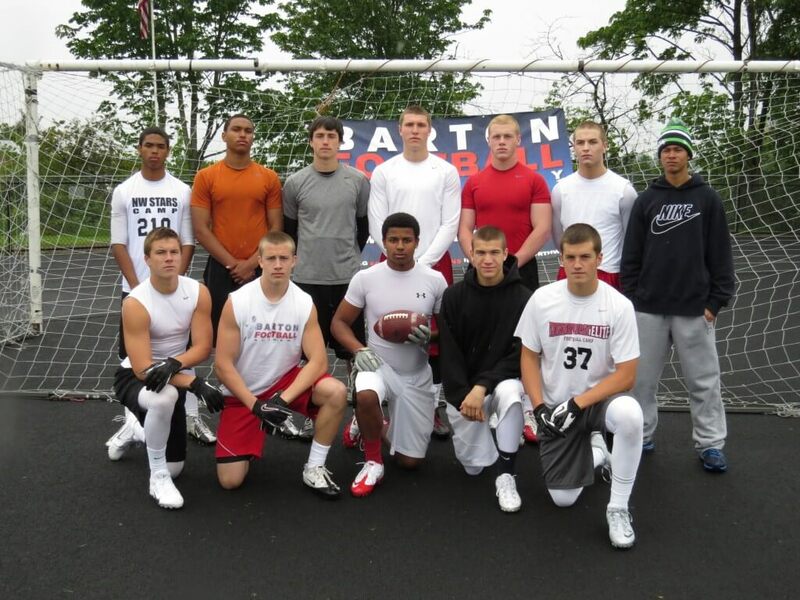 Juanita DB Terin Adams (2015) spent the day as part of the team, but did not participate. Adams will one of the top ranked DBs in his class when those rankings are finalized. The Kingco team battled and came up just short to the tournament champions, so there was nothing to hang there head about. The kids out of GK played as well as anybody in the tournament and they have a lot to look forward to in 2013. QB Trevor Asbjornsen (6-4 190 Jr.) looked as good as any signal caller in attendance, and Connor Mcleod looked like one of the top receivers in the NW. Teague James is ranked among the state’s top backs and looked great while the GK secondary will be one of the best in the region.. Read more about the team above. The Oregon kids didn’t finish the day the way they wanted to, but the lineup was filthy regardless. Henry Mondeaux out of Jesuit is one of the top players in the country and has 10+ offers (Oregon, Wash, Ariz St, Ariz, CAL, Boise St, Nebraska etc..). He had a good day. Southridge WR Jordan Morgan recently committed to (Arizona) and did well, but was hurt late. Manu Rasmussen of Tigard and Aaron Washington of Central Catholic both rank as two of the state’s top two recruits without offers, and have looked outstanding over the off season. 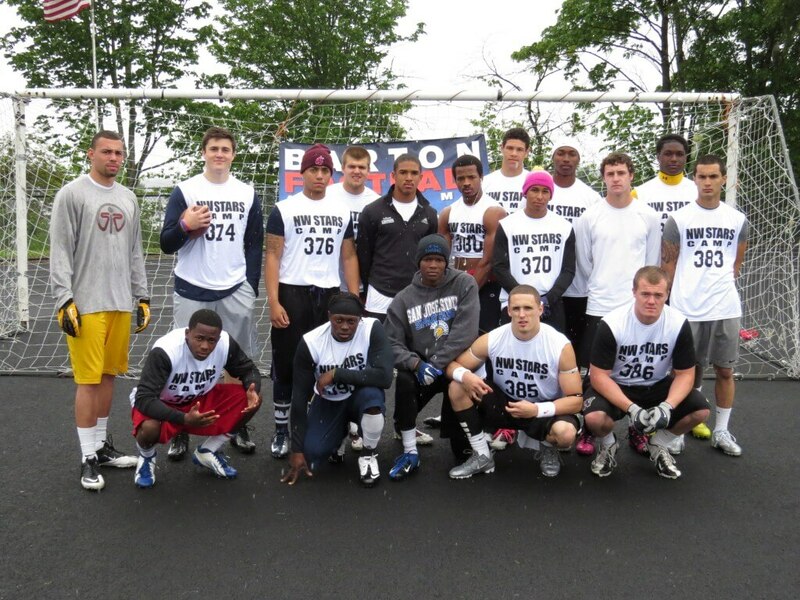 You aren’t going to find a better LB core with AJ Hotchkins-Tigard (Montana, Idaho, PSU), Sam Bodine-Canby, and Nick Underwood- Lake Oswego (Air Force) being part of maybe the top line backing crew (2014) in state history. Zack Davis of Central Catholic is one of the fastest rising WR’s in the NW as he just continues to impress, and super shifty teammate Chase Cole is the ideal 7 on 7 athlete. QB’s Aidan Wilder- Cent Catholic and AJ Woodin – Southridge will be in the spotlight this season, as both will lead teams that are state title favorites. 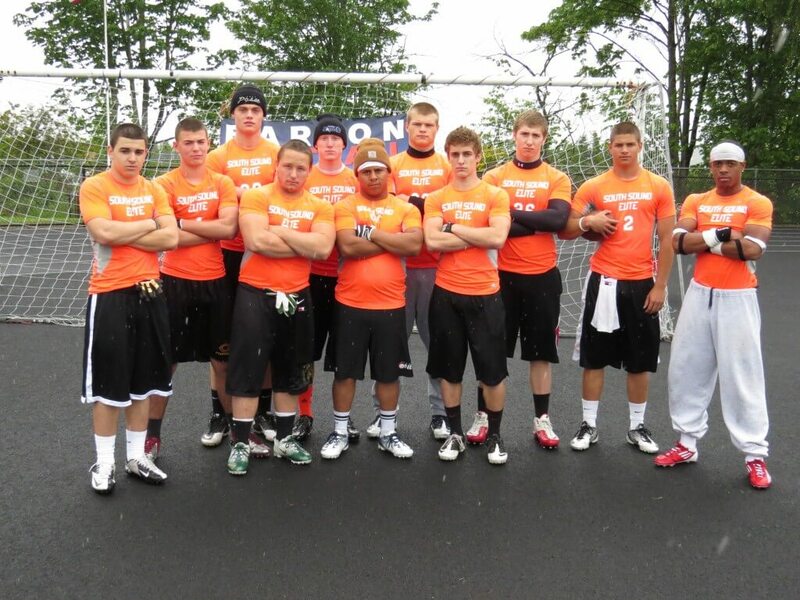 Logan Sackley and Pepe Tanuvasa rounded out the loaded Southridge Skyhawk group. Tanuvasa comes from a football family and Sackley could be the most underrated player in Oregon. The other Oregon team came out and had a good day. Yadie Dunmore of state champion Sheldon showed that he could be one of the better players state wide. He is the brother of talented ATH Oshay Dunmore, who is a big part of the Oregon Ducks future. 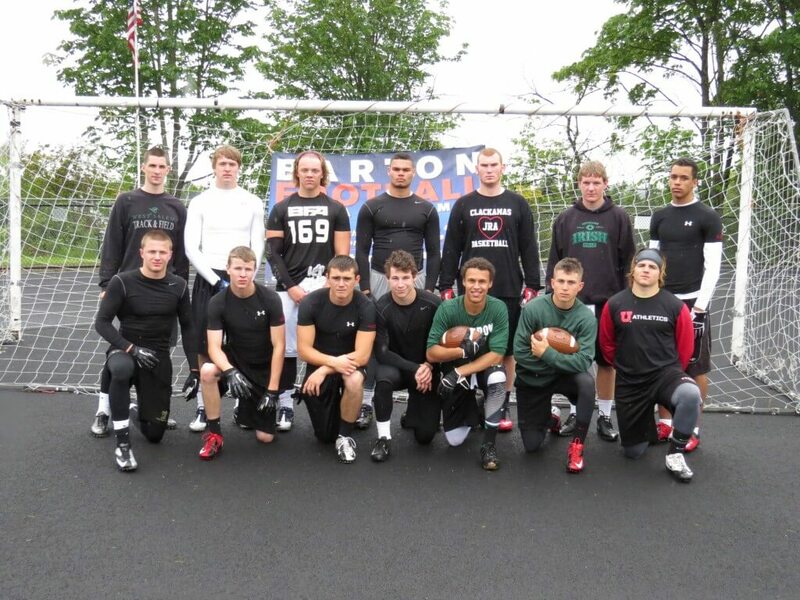 North Medford will be one of the most improved teams in the NW and brought a talented group. Nick Janakes was an all league kid on both sides of the ball as a sophomore, and fellow junior to be Troy Fowler is the returning starter for the Black Tornado. Both played very well on the day, while Tristen Holmes locked up most receivers showing why he is ranked one of the top DB’s for the 2015 class. The Clackamas kids had a good day as 6-4 250 pound Brody Haehlen spent some time at middle backer, and RB Daniel Sherrell exploited defenses showing how he went for 2100 yards and 27 Tds last season. Cam Schmitz of West Linn is one of the fastest rising DB recruits in the Northwest, and Peyton Dole of Eagle Point can be your ideal OLB or Strong safety at the next level. Both kids have legit size at 6-2 and 6-3 and are climbing the charts. Chandler Schoonmaker of Tualatin looks to be the teams leader and one of the better players in the Pacific Conference, while Isaiah Hall out of Horizon Christian is one of the most intriguing prospects state wide and had a good day as well. You would be had pressed to find better kids. Keegen Hlad (West Salem) is Oregon’s #1 ranked WR for the 2015 class, and one the state’s top overall athletes. QB Joe Kuehn of Sheldon is the projected starter for the returning state champions, and Medford’s Josh Hansen-North and Jacob Ridgeway-South, have both had very impressive off seasons thus far. Maybe the most prepared team of the day, showed up looking the part after a few practices together. The kids from the Olympia area looked outstanding all day, winning there initial pool play games. Two time all league returning Quarterback Derrick Becker, who recently just transferred from Capital to Olympia, led the group. One of the country’s top freshman LB’s Joel Dublanko of Aberdeen continued his relentless pursuit of greatness, putting the smack down on dudes a couple years older. Asan Neil-Evergin of Timberline will be one of the state’s top backs, and looked the part, a day after earning MVP honors at our recent camp/combine in Bellevue. Teammates Jeff Windstead, Seth Hyatt, and Stevie Cleveland all played very well on the day. One of the most impressive players of the afternoon was Jakob Racimo of Capital, who caught multiple Tds and then told the DB about it. Super talented Sophomore to be Zach Smith of Capital was another one of the top kids on the day, with his teammates Brian Davidson and Elijah Camacho. Tumwater’s Gabe Gleizes is one of top two way threats in Washington and is a lock down DB. Overall the South Sound kids had an impressive performance. Caleb Lyons (Lakes) and Drew Griffin (Bellarmine Prep) are two of the better players in Washington and did a remarkable job all tournament. Both athletes were part of our NEI-North team that we took to Vegas for the regional 7-on-7 tournament. Each kid has D1 potential moving forward. Lyons’ teammate Johnny Weeks is a kid we have become big fans of as he will battle with anybody. Winfred “Man Man” Roberson out of Garfield is one of the top DB’s in the 2015 class, and has a big upside. Dave Ungerer out of Pullman HS in Spokane is one of the better slot receivers in the state, and made the trip over for the tournament. Woodland’s Hunter Huddleston and Kyle Hendrix showed up and did well for themselves. Huddleston will return as the starting QB and Hendrix is a very talented overall athlete. 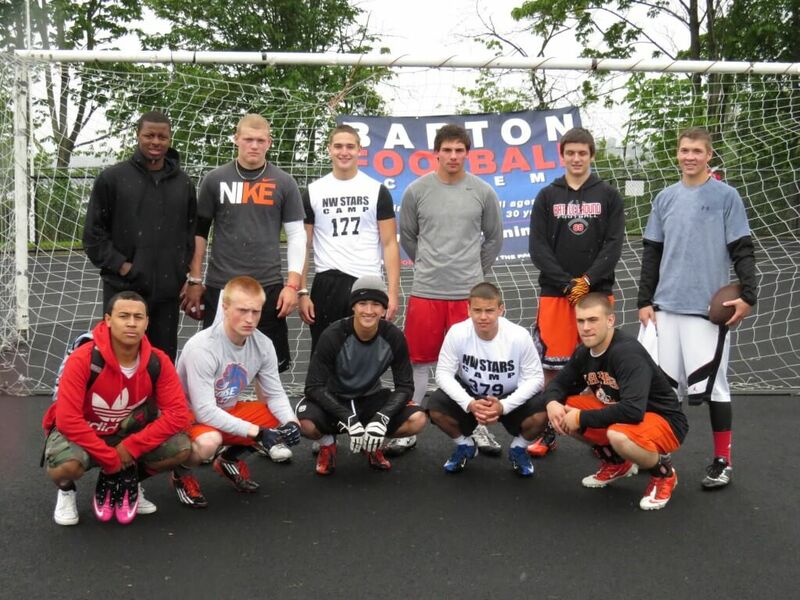 Three other SW. Washington kids from Battle Ground did well in Nic Manuel, Christian Waters, and Winston Matz. The Tigers should be improve in 2013 and it was great to see the group in attendance. The Columbia River team didn’t win a bunch of games, but took tournament champion NW Alumni to the last play and fought all day. 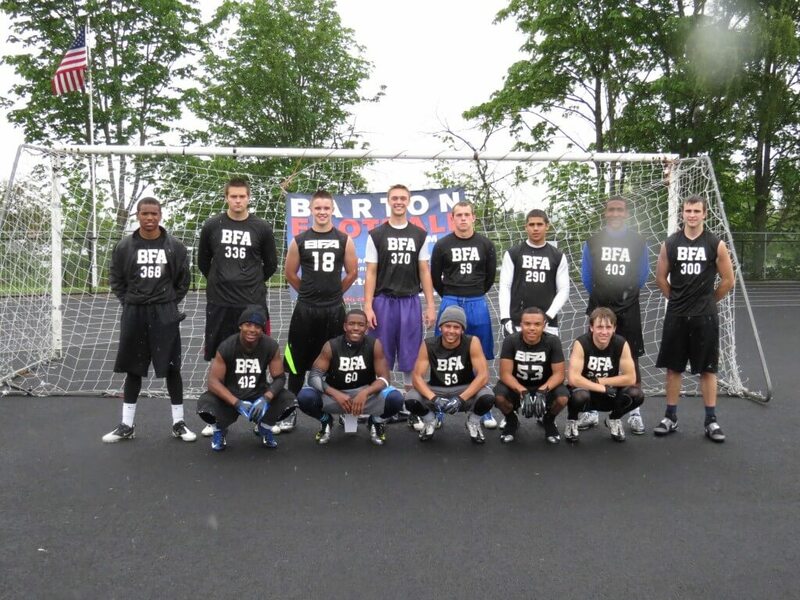 Some of the state’s top athletes played on the renegade teams over the afternoon. O’Dea’s Jack Flor and Justus Ross both rank as two of the better players in Washington for the 2014 and 2015 class. Flor’s stock has jumped a great deal as of late and Ross was one of the top players on our NEI-North Vegas team. Terence Grady out of Kentlake is one of the state’s top receiver’s and has broken out on a state wide level over the last few months. Salem Academy’s Carlin Ables and Anthony Tornio are two of the top small school athletes in Oregon, and play for one of the fastest rising programs in the region. Derek Sunkle (Wilsonville, OR) is a big, talented back, that will play a huge role for the Wildcats with the departure of Johnny Ragin, Tanner Shipley, and Ryan Walsh. Deangelo Faust – Lindbergh, Ryan Gnoinsky – Federal Way, and QB Brandon Studebaker are three other athletes that will be key for their individual teams. Faust will be a kid that we will hear a lot about moving forward, and Studebaker will lead one of the better teams in Washington this year in Bonney Lake. Gnoinsky had a very impressive performance at our Bellevue camp/combine and will be one of the better players for Federal Way this season. Sophomore to be Zach Oster of O’Dea is another kid with a very bright future, and someone we were excited to see. The Tides are a group that had a transition year last season with a new coaching staff, and look to be in a much better position moving into 2013. Reece Carlson looked like one of the top athletes in the entire tournament, as you will see him ranked one of WA’s top receivers when the new rankings are released. Sophomore to be Noah Samsen is another kid that will be ranked among the state’s best for the 2016 class. Both kids had a very good day. Levi Alton, Cody Alcott, and Danny Youngren were all athletes that saw significant time last season, and will be key to their success moving forward. Transfer Santana Johnson had a good day as well and looks to be a bright spot for the WA team. Gig Harbor alum Austin Seferian-Jenkins, the current #1 nationally ranked college TE out of UW, was out coaching/officiating during the day. 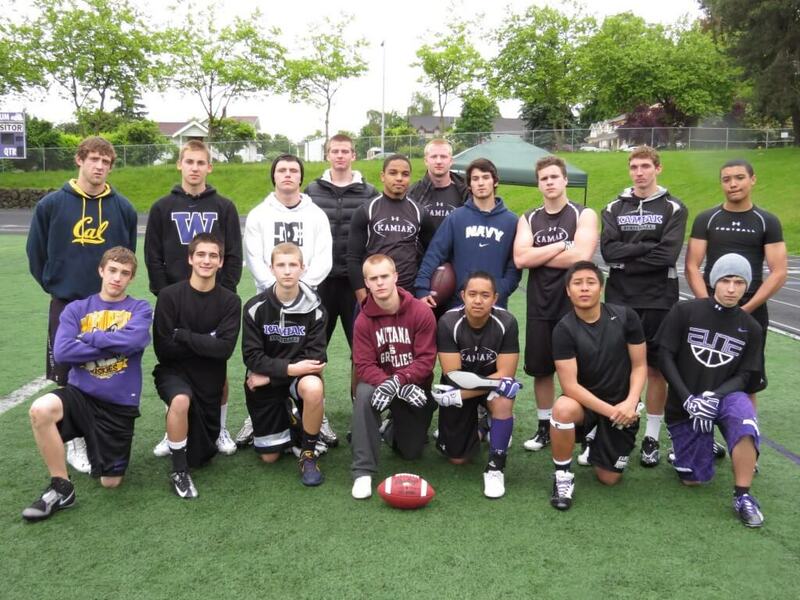 It was good to see all of the Gig Harbor athletes out working. 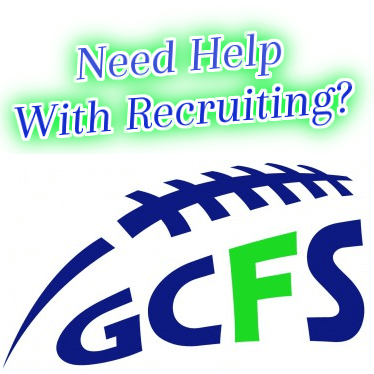 We are fans of the kids from Kamiak as they have a class program with outstanding coaching. QB’s Tyler Becker and Nick Taglialavore both performed well on the day. Henderson Belk was one of the biggest surprises of the weekend, and is a kid that we are looking to add to our rankings board as one of the top TE’s. Belk is big (6-3) and can move, so we are excited to see what he can do moving forward. Tom Batie did well as a WR/DB and will be a big factor this season. The teams work horse and one of the state’s top backs Austin Hall, will once again have to carry the load for the kids from Mukilteo. This was the Knights second year in the tournament and they continue to get better as a group. We are excited to track their progression moving forward. It was great to see the host Foster team getting in the mix for the second year in a row. Devin Brown is a very talented kid and will have the ball in hands a lot this season, and Patrick Straight is the top wide out and made some nice plays on the day. All in all the Foster kids competed and had a good afternoon. They were great hosts and we look forward to covering their kids in the years to come. King’s HS has a lot to look forward to in the coming years. 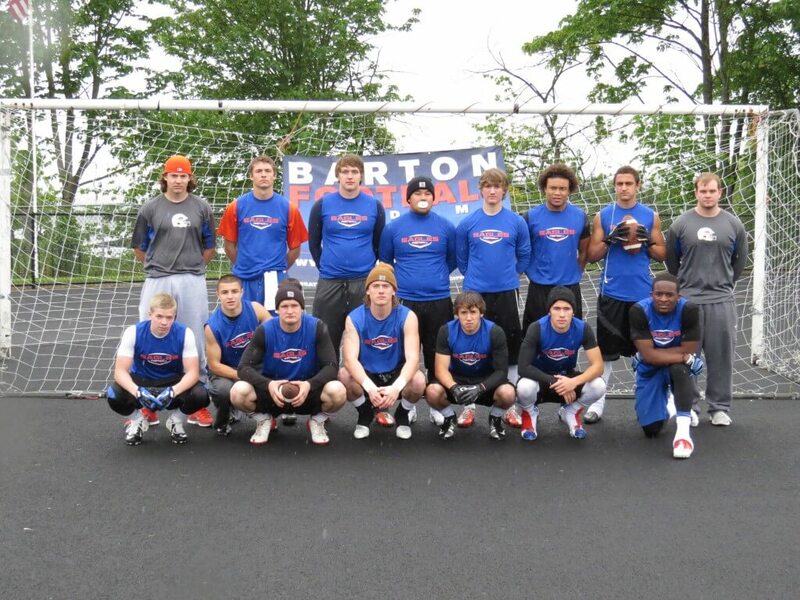 Last year’s KHS QB Billy Green (BYU) was a kid that trained with Taylor Barton and is now reaping the rewards in Provo. 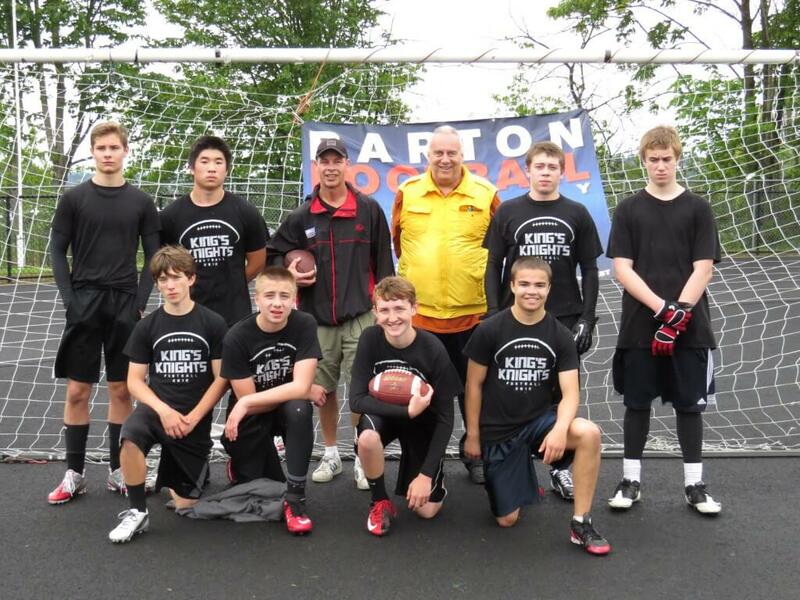 This years squad featured a group of incoming Freshman and Sophomores who should do well moving forward. The private school will continue to produce class kids and be one of the better 1a teams in Washington.